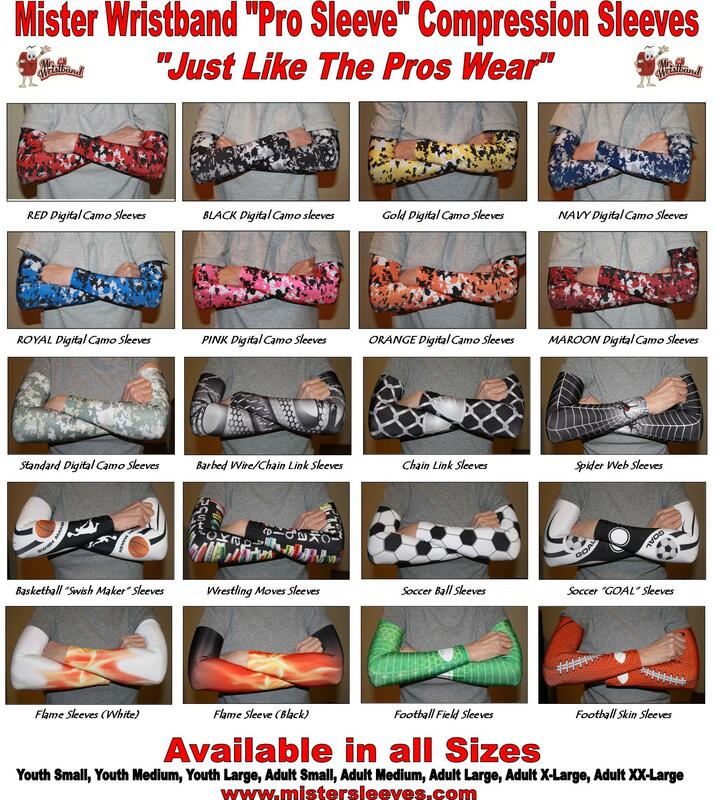 Order your Custom Team Sleeve Today! No more wearing tired old sleeves everyone else is wearing! 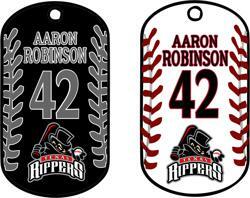 Now you can outfit your team with Custom Team Sleeves, in your colors, your logo, and each of your players individual names and/or numbers. No art charge or set up fee EVER! Coolest New Products from Mister Wristband. 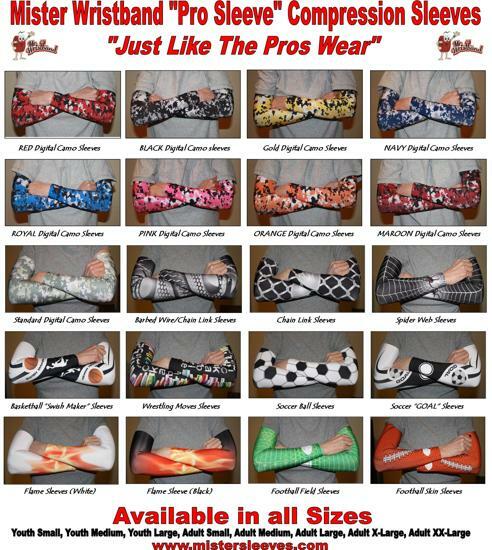 Compression sleeves help keep arm muscles ready for action, and they look cool as well. Look for them now at most Mister Wristband mobile events and soon in our online store! 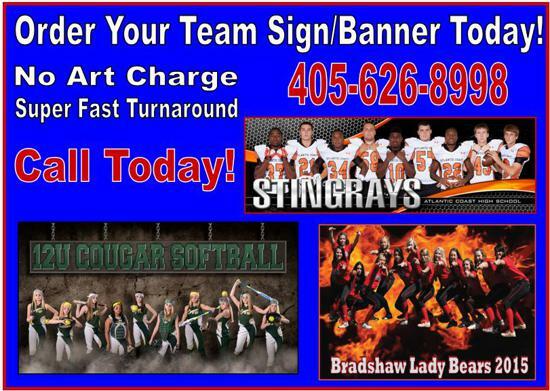 Order Your Team Sign/Banner Today! Mister Wristband is famous all across the country for many things. Mostly for our very cool products that kids just go crazy for. Our set up is unique, very professional, and attracts a crowd wherever we go. Our products are what set us apart. If its cool....it comes from Mister Wristband. But don't let the name fool you, we are more than just wristbands, a lot more. When you see a Mister Wristband mobile unit at a sports facility near you, check us out....you'll be glad you did. Remember, if its being worn by athletics, and its cool, it came from Mister Wristband. Whether its baseball, softball, soccer, football, basketball or any sporting event, Mister Wristband is there. 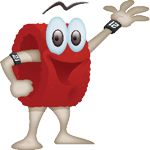 Check out our web site, see where Mister Wristband will be next, and if you operate a sporting event and would to see about bringing Mister Wristband to your next event, give us a call......the kids will love it.....and so will moms and dads. The entire Mister Wristband family is praying for a speedy recovery for our dear friend Mister Wristband Long Island. Get better soon Nick! ©2019 Mister Wristband / SportsEngine. All Rights Reserved.